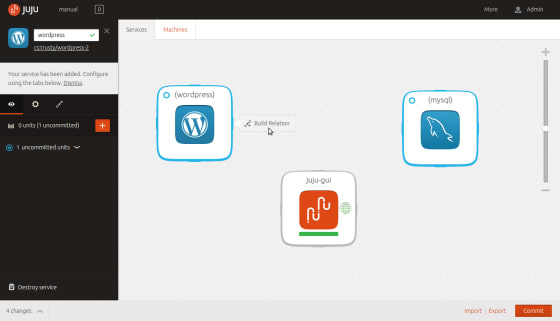 Juju is described as a state-of-the-art, open source, universal model for service oriented architecture and service oriented deployments. 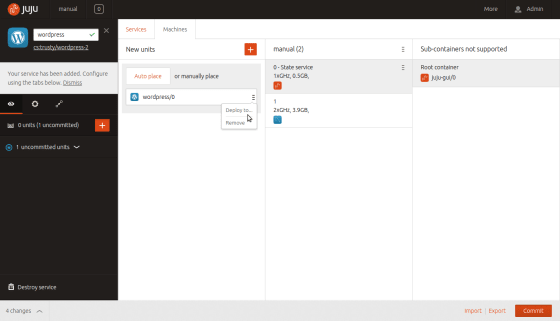 It takes the configuration scripts written in other tools and wraps them into a charm which can be deployed either with the Juju CLI tool or its GUI interface. And it’s really easy to run up a cluster to play with on Brightbox Cloud. 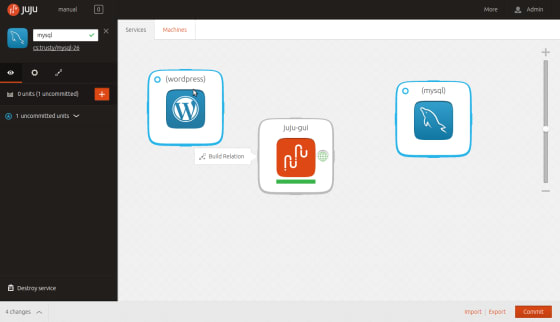 In the Brightbox Platforms repository on GitHub there is a juju directory that will build a Juju cluster automatically. So once you have the Brightbox CLI installed and SSH working, then clone the repository. 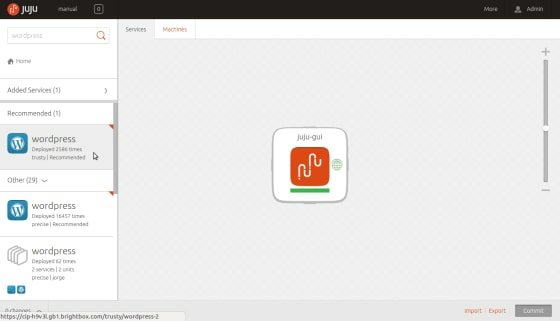 This will build a Juju management station running the GUI and a single 4gb SSD server to be managed by by it. Added charm "cs:trusty/juju-gui-38" to the environment. Waiting for ssh logon for ubuntu@cip-h9v3l.gb1.brightbox.com..
Point a browser at the url given and login with the username and password shown. You’re then ready to deploy a charm! Once you have the GUI working, you can deploy ‘charms’ by dragging them from the search bar on the left to the main canvas. Let’s run through a simple WordPress/MySQL combination to get the idea. First find the wordpress and mysql charms using the search tool on the left and drag them to the canvas. drag across to the wordpress icon to create a relationship. Next click on the machines tab and for each ‘new unit’ on the left hand side select a machine and container that unit should be deployed to – in this case machine #1. Go back to the canvas screen and wait for the icon indicators to go green to show they have installed and configured. You’re then ready to use WordPress. 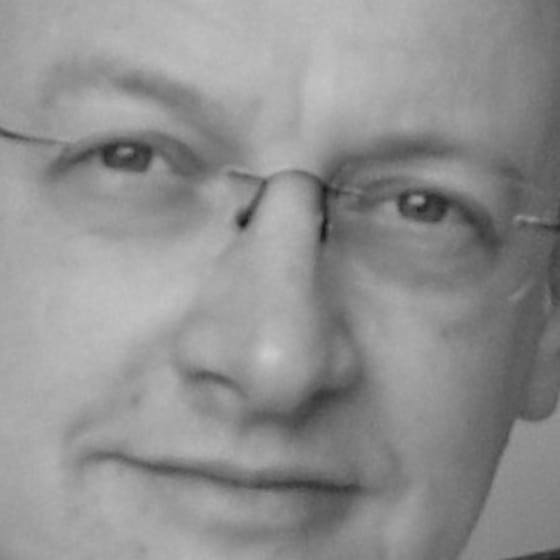 Neil Wilson is a consultant at BrightBox and an expert in finance and information systems. He is an advocate for the free software community and loves to make things happen. You can read more from Neil on the BrightBox blog.